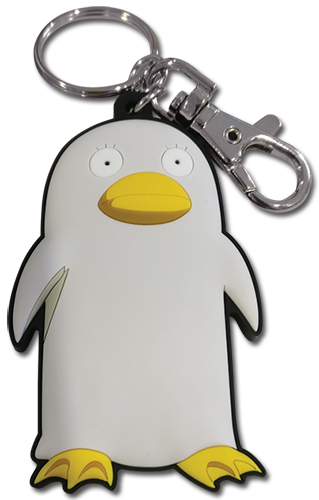 You'd be forgiven for mistaking Elizabeth from Gintama for a penguin. Heck, even mistaking him for a her with those eyelashes! This loyal pet of Katsura's is inseparable from his side and has become known as his sidekick. Now Elizabeth can hang out with you on this cute PVC keychain. Don't let those dull eyes fool you...this alien has some excellent placard based battle skills to to tell off any would-be thieves!